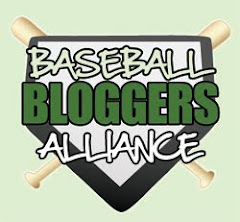 Real life is getting in the way right now of devoting more time to the blog, but good thing it's the off-season early for the Mets are the 4th year in a row. Omar and Jerry are obviously gone, which was the worst kept secret in baseball/world. Now all the rumors of who the next GM will be and then after that, who will be the manager. For those who weren't able to listen to Jeff Wilpon on WFAN on Tuesday morning, it was laugh out loud funny, and well worth a listen. He didn't/couldn't say much, but he did throw Oliver Perez under the bus, which is more than I expected. And for those who are looking forward to next June's draft, the Mets will have the #11 pick. The significance of that is even if they sign a type A free-agent, their 1st round pick is once again protected. Not that I expect them to sign a Crawford/J Werth or C Lee, but if they did, at least it won't cost as much in terms of losing players; it's more just increasing the payroll past the 150 million mark, which is highly unlikely. I will begin doing some year in reviews hopefully this weekend/next week, for those who care (that may be no one, but I'll do it anyway). Hope you are enjoying the MLB playoffs. And Thole Wins it on a Walk-Off HR!